Most people are in search for the perfect smile, which is not always easy to attain. Many situations that prevent you from getting that perfect smile, misaligned teeth being one of them. Luckily, modern technology has come up with a timely solution. While traditional braces have been used to correct dental issues, you can now enjoy the benefits of our invisible braces which are more effective and convenient. Our Clear Correct invisible braces allow you to enjoy the benefits of traditional braces but without the embarrassment of wearing metal braces in your mouth. Well, the idea of getting braces to correct dental problems is not always the easiest one but with our innovative technology, we are giving an alternative to the irritating metal braces. Our goal is to offer affordable solutions to dental care which has helped us build a strong reputation in Melbourne and other cities. We are an established dental clinic serving Melbourne, Sydney and other prime cities. Our dentistry clinic has built a reputation for reliability and efficiency and the invisible aligners are a proof of our innovative tradition. Our commitment is to give our clients a perfect smile using customized aligners which has helped us build a strong reputation with our clients in every city. We have built our brand around trust and 100% satisfaction guarantee and this has made us the most recommended dentists’ clinic in the city. Convenience: Unlike metal braces which you have to wear throughout our invisible braces can be worn and removed at your convenience. You can remove the braces during meals or at bedtime which makes this the most refined solution for misaligned teeth. Customized solution: Every dental problem is unique and with our innovative braces we ensure you have the ideal treatment through our 3-D imaging technology that helps create the right braces for your teeth. Fast treatment: While metal braces take lots of time to correct a dental problem our invisible braces are optimized to get more results in a shorter time. You will not have to suffer the inconvenience of metal braces for months. Comfort: This is the biggest advantage of using our invisible aligners. You won’t have to worry about your smile because our aligners are invisible. Give us a call and enjoy the most comfortable solution to align your teeth. We are always looking forward to your call. 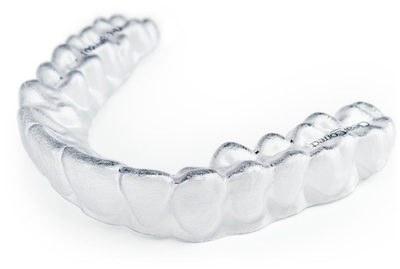 What Are Benefits of Wearing ClearCorrect aligners? The benefits are as follows: Invisible - Clear aligners show off your smile, so most people won’t even notice you’re wearing them. Removable - It’s easy to remove aligners and eat whatever you like. There are no wires to trap food or get in the way when you floss. How ClearCorrect Works? ClearCorrect treatment involves four phases of aligner therapy. Each phase requires a new set of aligners that are worn for a three-week period. The time between each phase allows for control and flexibility. Do I Have To Avoid Certain Foods While Wearing ClearCorrect Invisible Braces? No! Unlike braces, which are bonded to teeth, the aligners are removable and can be popped in and out to eat and drink, so you can still enjoy all the foods you love. Are They Painful? As like all orthodontic treatment, some patients experience some sort of pressure or discomfort while switching to a new set of aligners. Usually, this fades within a few days and is a sign that your teeth are moving to their desired positions. Do You Offer Payment Plans? We strive to make dentistry affordable for our patients. That’s why we offer HICAPS, Private Health Insurance Rebates for some items and flexible payment plans with interest free periods for your convenience.